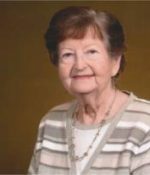 Remembering Murna Evans | Remembering Murna Evans | De Soto Obituary Search | Dietrich-Mothershead Funeral Home, Inc. Remembering Murna Evans | De Soto Obituary Search | Dietrich-Mothershead Funeral Home, Inc.
Murna Lee Evans was born May 7, 1932 in Alliance, MO. She was the daughter of Andrew John and Nettie Mae Jaco. She died on May 15, 2016 at Mercy Hospital-St. Louis at the age of 84. 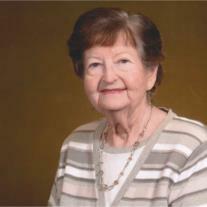 Described as “the best homemaker ever” she is survived by her daughter: Mary Ann (Charles “Rocky”) Pirrello, Ballwin; her son: Tom Evans, House Springs; nine grandchildren: Amanda (Nick) Crouch, Emily (Maggie) Howard, Sam Ogle, Nick Ogle, Jon Pirrello, Joe (Colleen) Pirrello, Tony Pirrello, Nicole Pirrello, Annie Pirrello; four great-grandchildren, August Crouch, Cannon Crouch, Oliver Pirrello and Elise Pirrello. She is preceded in death by her parents; her husband, Roscoe Louis Evans; one son, Andrew Evans; sisters, Bertha Flannegan, Cladsie Thomas, Beulah Kollarik, Valona Jaco, Velma Jaco, Golda Jaco, and Opal Jaco and a foster brother, Jack Jaco. Rev. Ron Follmer, Pastor of the De Soto Christian Church will officiate the funeral service.